Smoothie Bowls were all the big rage last year, and I still love them. 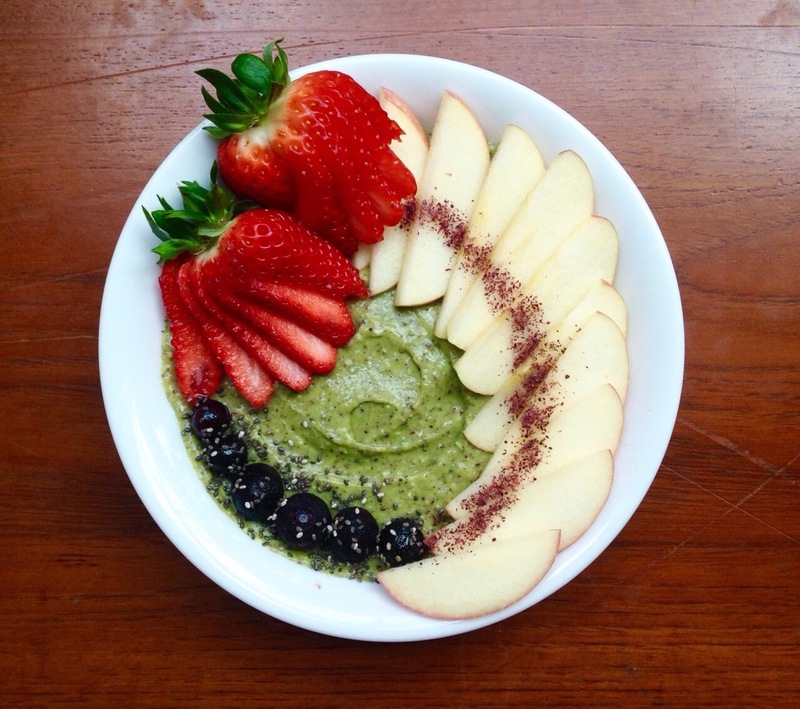 Putting a smoothie in a bowl is a creative way to fortify a drink and make it more of a nutritious meal. You can get really creative and add some awesome toppings for a crunchy texture. Sweet smoothie bowls feel like dessert and what is better than having dessert for breakfast?! I make my smoothie bowls as nutrient-dense as possible, and this bowl is definitely a good hit. It’s packed full of healthy fats, protein, and essential fatty acids that has a sweet delicious flavour. First soak oats and chia seeds in almond milk in a small bowl at least 5-10 minutes. Then place into the blender and add avocado, mint, dates, banana, spinach, and almond butter. Blend until smooth but thick and then divide into one large bowl or two small bowls. Top with what you fancy and serve!